I’m a member of my son’s elementary school’s “Green Team,” a group of eco-minded folks who are brainstorming ways the children can learn about environmental stewardship. One of the projects is, naturally, recycling. 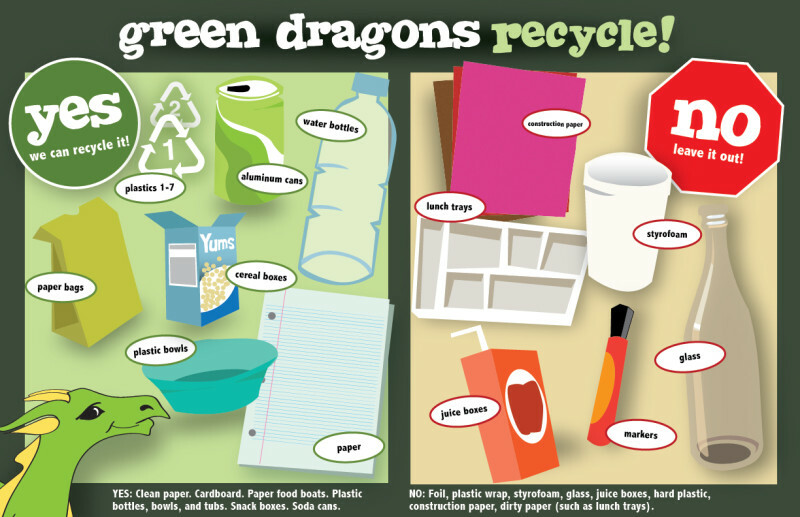 I created this fun poster, which is hung in every classroom, to help them figure out what can and can’t be tossed into recycling bins. The poster was received with overwhelming enthusiasm. 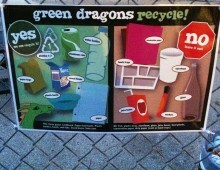 Here’s the poster tacked up near recycling bins next to the playground.